EEEK! 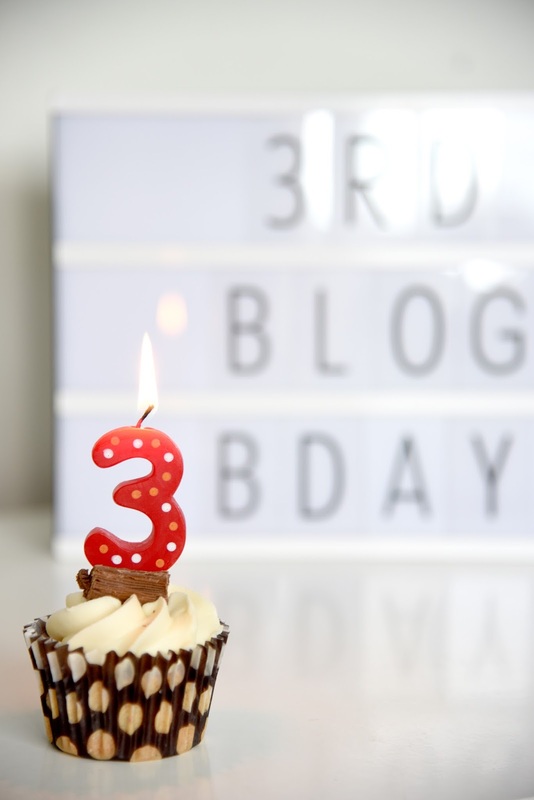 Happy 3rd Birthday little blog! I honestly can't believe it's been 3 years since I pressed publish on my first ever blog post! From then I haven't looked back! My love for blogging has just grown and grown. I still feel like blogging was just a natural progression for me, after getting my BA in photography I still absolutely love taking beautiful photos for my blog, it's really helped me to completely fine tune my photography. Blogging has also helped me realise just how much I love my other hobby, baking! Every week I make a new recipe to post on my blog, I love to create naughty sweet treats and share them with everyone who reads my blog! I've been really lucky with all the opportunities blogging has brought me, my days off from work are filled with taking photographs and writing up posts, sharing content on social media and all things in between. It's a lot of hard work and I really take pride in my blog, but it's so worth it and I won't be stopping any time soon! Thank you for all of your comments and support over the years, it really means the world! Happy 3rd birthday to your blog gal!